Designer: Könni, Y. ja Tilgman, A. Description: Santa Claus driving an open top car. On the background a hilltop castle. The text: Iloista joulua! [Happy Christmas]. The signature: YK. 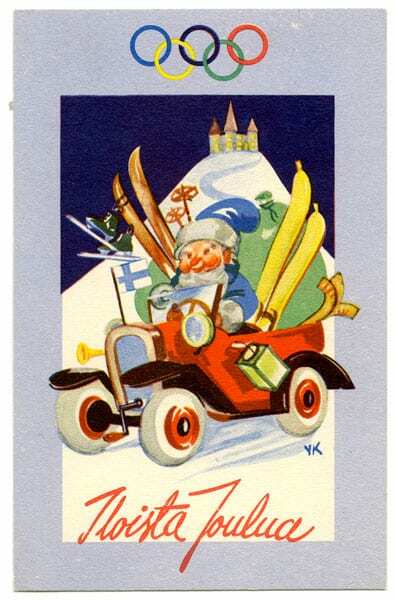 Other information: Könni and Tilgmann drew about twenty different Christmas and New Year greeting cards to raise funds for the training of the Finnish Olympic team. Half of the cards were in Swedish language.